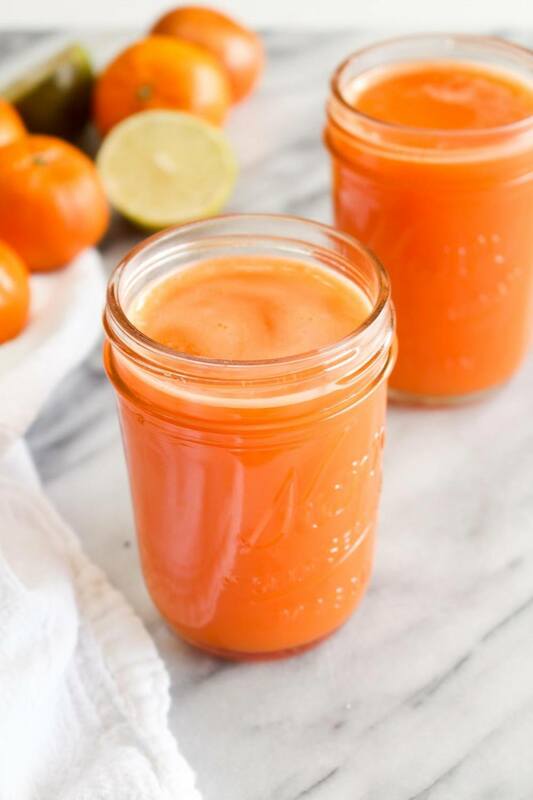 This Carrot Orange Lime Juice recipe can be made from home without a juicer! You can wizz up gourmet juice any day of the week. Add all of the juice ingredients into a blender. Add in 1 cup water and blend until smooth. Add more water if necessary. Line a fine mesh strainer with cheesecloth. Pour the juice into the lined strainer. Gather up the sides of the cheesecloth to enclose all the juice and pulp insde, and twist the gathered tops together. Twist and squeeze to extract the juice. Serve the juice and discard the pulp.